What happens if a tanker and a passenger ship collide? What happens if a tanker and a passenger ship collide in the route leading to the ports of Turku and Naantali. 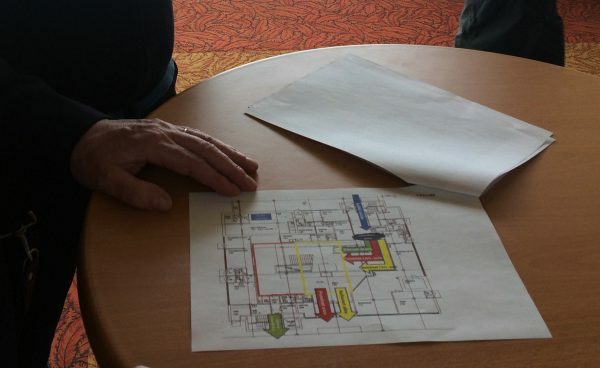 What if oil is leaking from the tanker, the passenger ship is sinking and the passengers have to be evacuated? The route is busy with ferry traffic, what happens, if the route is closed due to the accident. All that will be practised in a joint multi-authority exercise in the Port of Naantali and the sea area just outside the cities of Turku and Naantali in October, as part of the HAZARD project. 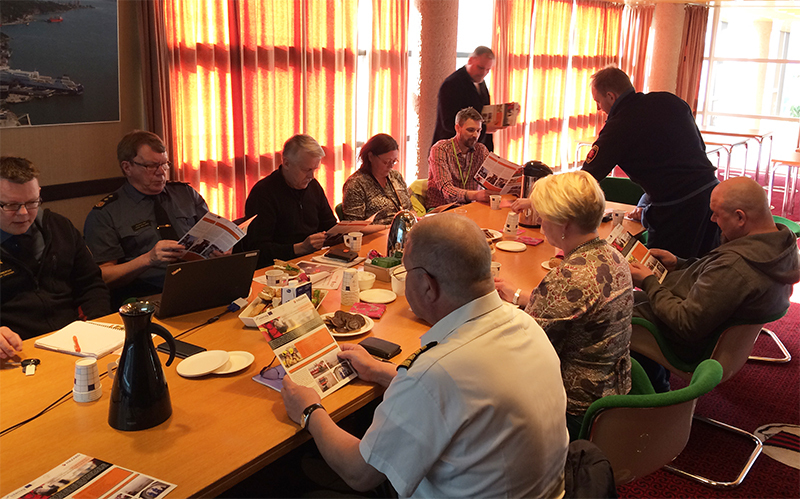 The Southwest Finland Emergency Services is organising the exercise together with several other project partners and authorities. Once again, the communication and co-operation of the authorites is one of the exercise targets. 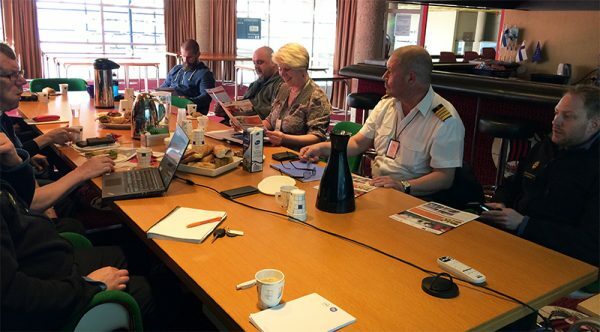 Hazard project partners and other authorities were planning the exercise in the Port of Naantali 5th May.